Originally from Boston, Massachusetts, Kathy has lived all over the United States including Louisiana, New York and Alaska, before settling in St. Augustine 28 years ago. Kathy's career in real estate began in 1998 and since that time she has earned and received the Graduate Realtors Institute (GRI) designation, her Broker's License and received Realtor of the Year Award for 2007. Since education is a priority for Kathy, she continues to attend seminars and classes to keep herself and her customers in the know. Along with Real Estate classes, she has received her designation as an accredited Staging Professional, (ASP) which allows her to help her customers Stage their homes for added value. As a past Chamber Ambassador for the St. Augustine Chamber of Commerce, Kathy stays involved with the community. 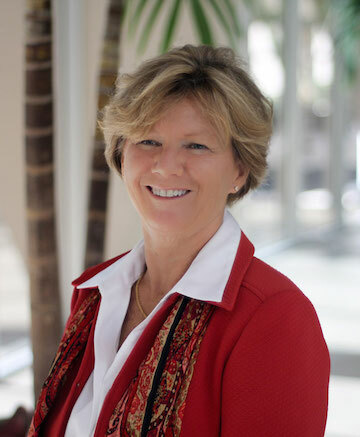 She is an Alumni of the St Johns Leadership Program, served on the Board of Directors with the St. Augustine & St. Johns Board of Realtors and currently serves as the Multiple Listing Service President. She also has served on the Education Committee and is a volunteer with the local March of Dimes and Multiple Sclerosis Association. Kathy has 3 daughters, Heather, Michelle and Laura. Enjoys taking long walks with her Siberian Husky, "Tracks", loves reading and writing and is currently writing her first book.